I start by getting the kale ready to bake in the oven, seasoning it with olive oil, salt and cumin powder. 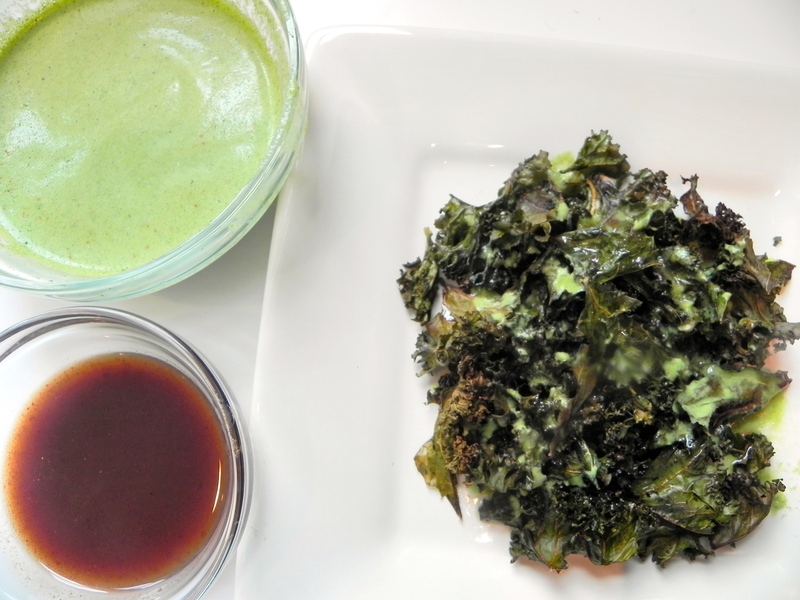 The restaurants usually deep fry the kale, so this makes it healthier. 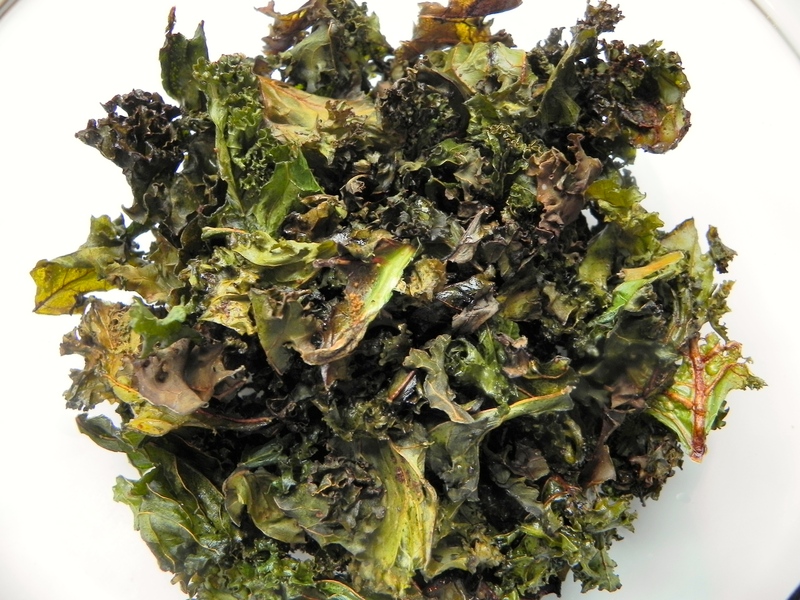 The kale comes out nice and crispy. I garnish it with lemon juice to cut some of the bitterness. 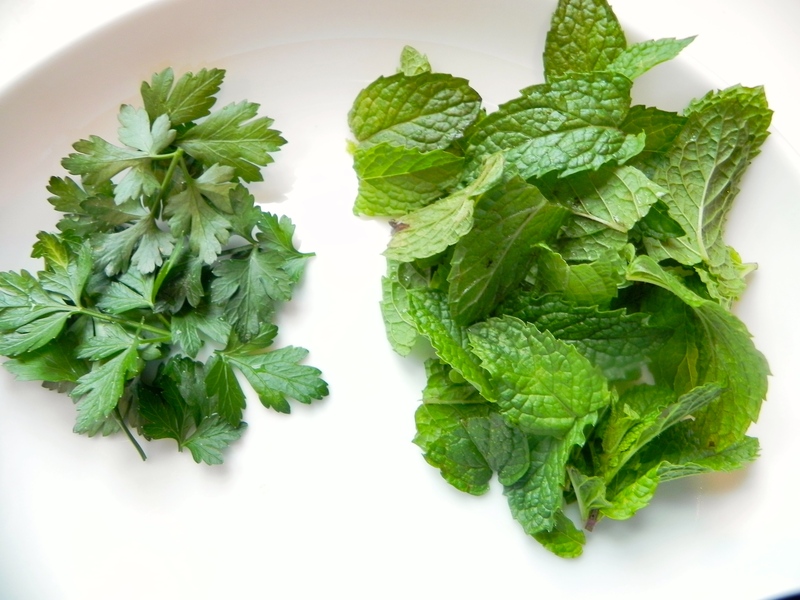 Then I get the herbs ready for the chutney using fresh mint and cilantro. I blend all the ingredients together, adding yogurt, cashews, and spices. Then I assemble the chaat, starting with the mint chutney and the tamarind (brown-sweet) chutney. Finally I add the yogurt, onions, and tomatoes. I garnish with lemon and cumin powder. 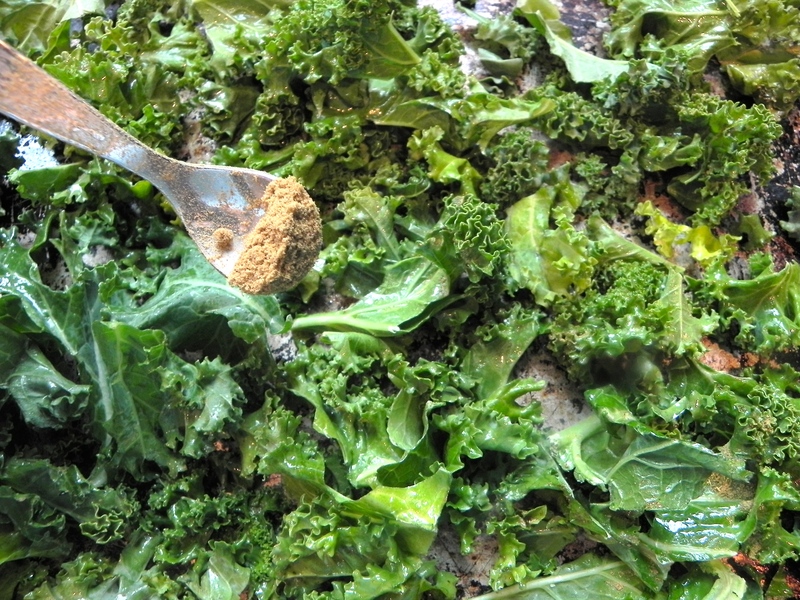 Spread the kale out on a baking pan. Sprinkle with olive oil, salt, and cumin powder. Lay out on one even layer. Preheat oven to 350 degrees. Bake the kale for about 25-30 minutes until crispy. 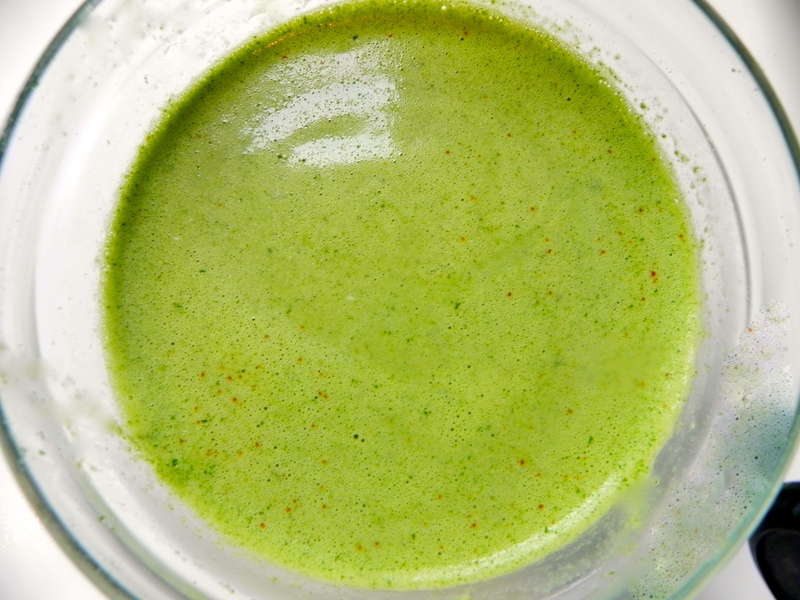 Combine all ingredients for the mint chutney in blender. Add water as needed but sauce should be slightly thick. Thin out some yogurt with water so its pourable. 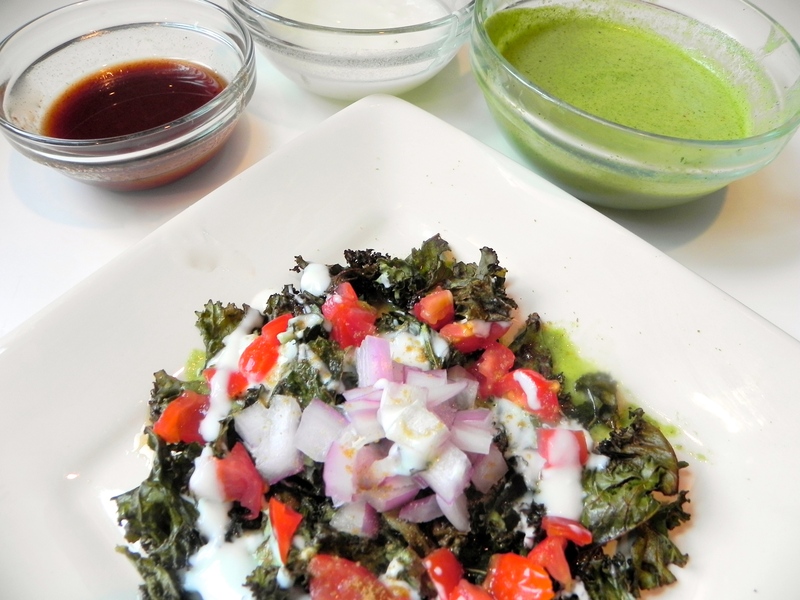 Assemble the chaat: Put about half of the kale on one plate. Drizzle with mint chutney and tamarind (sweet) chutney. Then drizzle with the thinned out yogurt. Add onions and tomatoes on top, as well as cumin powder. Squeeze fresh lemon on top. Reblogged this on The Tough Spot Gym. I loved this. I remember eating spinach chaat at Rasika. Will try with Kale. Thanks for the recipe. Yes! 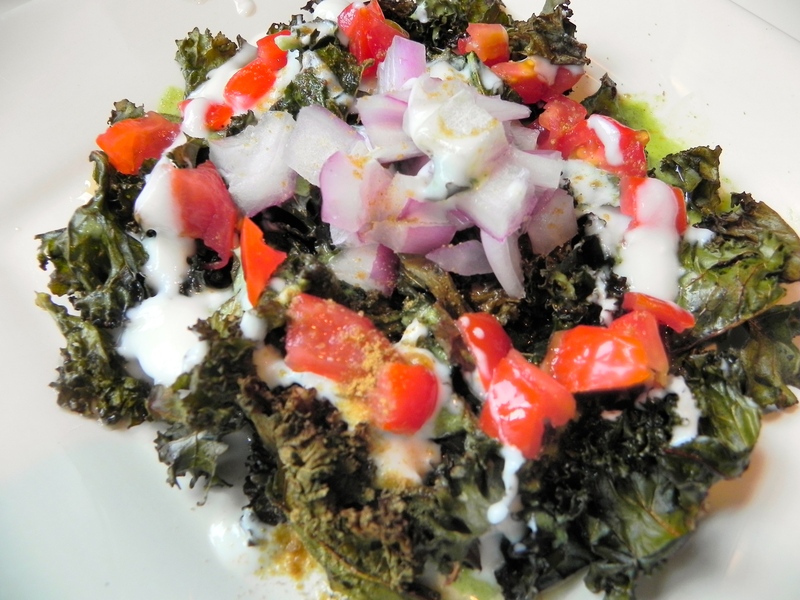 Spinach Chaat is Rasika’s big thing and then their sister restaurant (Bombay Club) does the Kale Chaat. Both are so tasty!